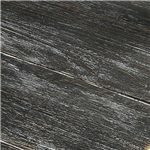 Get a contemporary design with a weathered rustic feel with the Bellagio Collection. 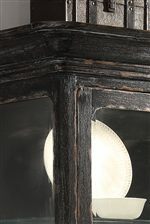 The collection gives you options of occasional round and square styles letting you choose the perfect look for your space as well as dining room options creating a stunning home. 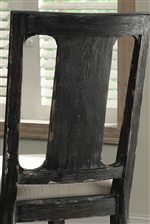 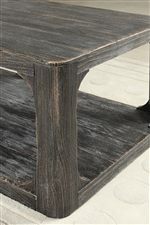 The weathered worn black finish is heavily distressed on each piece giving it that rustic and vintage appeal.